Take a little break and discover one of the best food trucks in L.A. Kogí has an inexpensive menu of Korean BBQ to go. Food trucks may sound very worrisome to newcomers, but the line of 30 people waiting for food makes it clear that the chefs know what their doing. As I stood in line for ten minutes waiting to order my food, a limo bus pulled up with 15 Kogí lovers. The crowd had people of all ages, and is a hit with the late night bar crews. 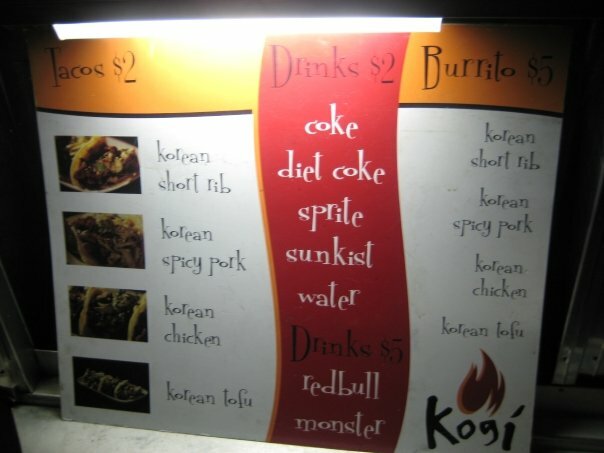 The Kogí truck offers tacos, burritos, quesadillas, and dessert all with a Korean twist. The signature taco on the menu is the Korean short ribs. If you are hungry make sure to order 3 or 4 to satisfy your appetite. 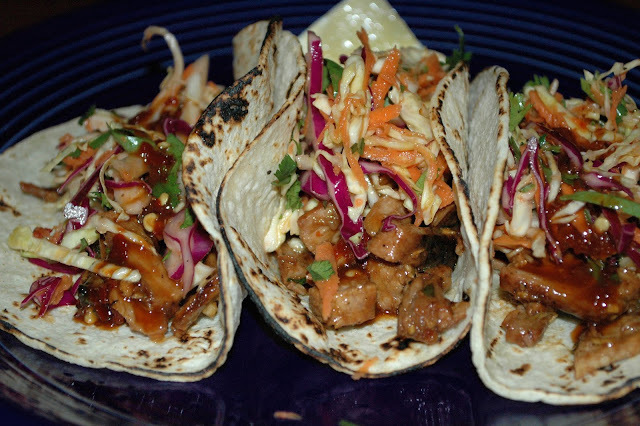 The tacos are small, but are packed with more flavor than you might expect. At only $2 a taco you can afford to splurge on this delicious treat. According to the Kogí website kogibbq.com “the fat melts away to create that soft and tender texture everyone loves and the sugars just caramelize to give the meat that deep and savory flavor.” The meat could surely stand alone on the taco, but the fresh toppings give an added kick. All of the Kogí tacos come loaded with sesame-chili salsa roja, and julienne romaine lettuce and cabbage tossed in Korean chili-soy vinaigrette. The vinaigrette gives a spicy flare that is mandatory in tacos. For added freshness, the chefs mix in cilantro-green onion-lime relish, sesame seeds, sea salt, and lime. That’s a lot of ingredients for one little taco! 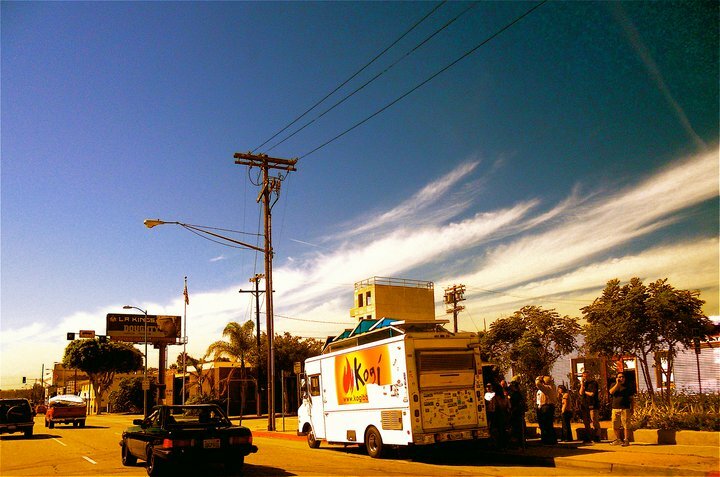 There are four Kogí trucks that travel around the L.A. area. They each have a color to differentiate themselves and are titled Azul, Verde, Roja, and Naranja. The closest location to LMU is in Venice on Abbot Kinney, right outside The-Brig. To see the locations and times the Kogí truck will be nearest to you just check out their website kogibbq.com or follow them on Twitter. These tacos look so scrumptious! Wish I lived in LA so I could try out these delicious tacos. Thanks for adding the Kogi's website link. Will have to check them soon.